Are you simply not that into all that sickly sweet Valentine&apos;s stuff? Why not embrace the hype this year instead of resisting so stubbornly? 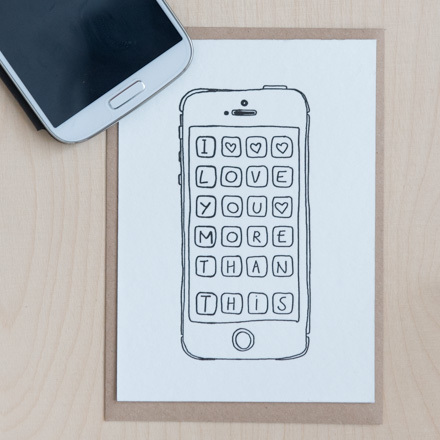 There are alternatives, you know, like this series of atypical Valentine&apos;s Day cards, which get rid of all those silly clichés once and for all with a bow and arrow. We&apos;ve really had it with the annual box of chocolates that is dropped into our lap on Valentine&apos;s Day. And yet we would like to show the apple of our eye how much we love him or her this year (albeit in a more controversial fashion). These original postcards will conjure a big smile on their face. After all, isn&apos;t that what Valentine&apos;s Day is all about? These very straightforward cards, by Tineke Hoet and Elke Deceuninck of KEET, are very to the point. 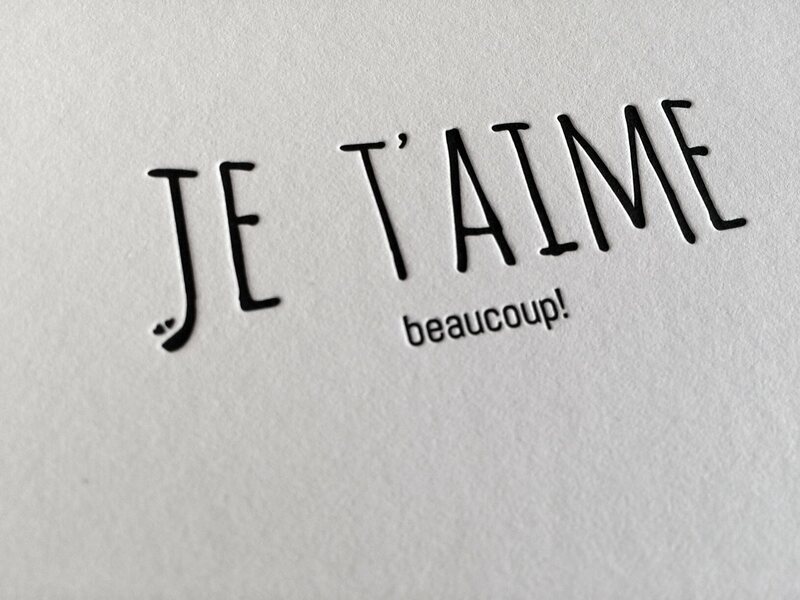 No beating around the bush... just say it: JE T&apos;AIME! JIP excels at rhymes and poetry. Little poems with a message that is honest, positive and simple, that is what JIP does best. A lovely gift for someone when you are once again at a loss for words. Do you sometimes feel as if your loved one spends more time looking at their smartphone than at you? Then this is the perfect card to draw their attention. Because a subtle approach is more effective! There are no manuals about love but the instruction label on this greeting card will at least help you make some progress. A subtle hint (say yes) is definitely helpful when you have great plans for Valentine&apos;s Day. Greeting card 100% love. 5.50 euros. Less is more! While these cards may be small, they are in effect a grand gesture. 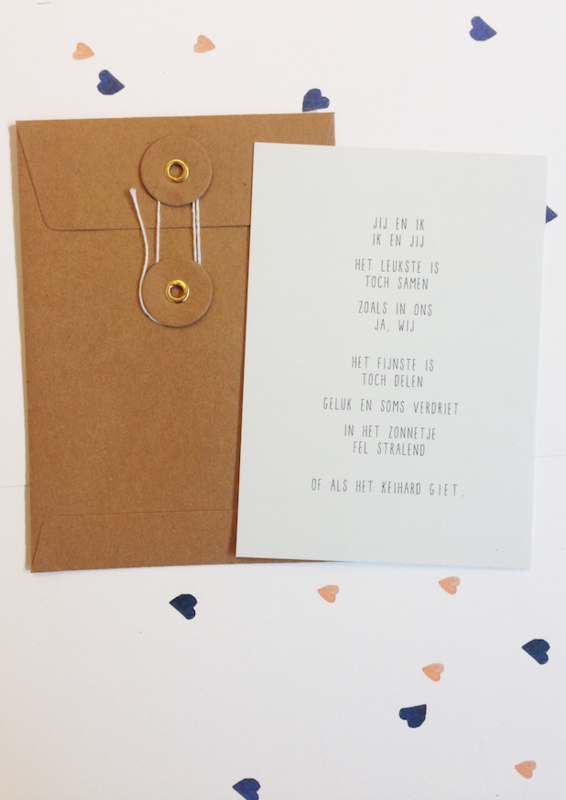 PIET moodshop loves Clodette, as you may have readhere. The Belgian brand by Karen van Winkel and Veerle Dobbelaere features pure, stylish designs with a twist. 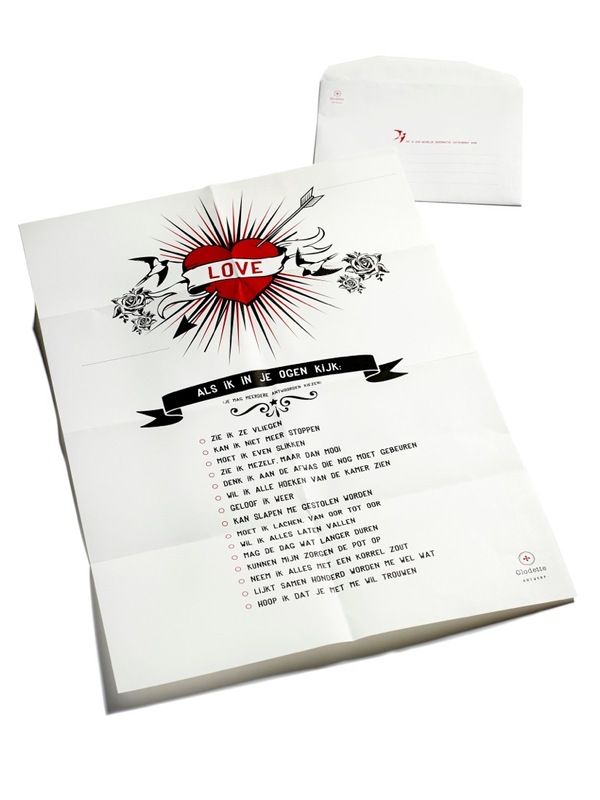 This deliciously old-fashioned letter in A2 poster format is definitely an eye-catcher for Valentine&apos;s Day.